There is a cost per class if entering shows. Equipment Needed: Horseless Horse members do not need access to a horse. Equipment varies depending on level/type of participation in Horse project. Dates: Dates can be found on the OCHPP website at www.ochpp.weebly.com. Horseless Horse meets throughout county depending on the activity. 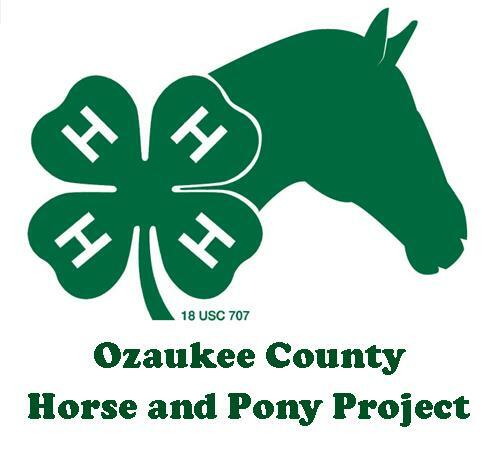 Horse meetings are located at the fair grounds in Cedarburg with at least one community service project located elsewhere. Most meetings are held the 4th Monday of each month. Some months meetings are exchanged for group activities. The Horse & Pony Project maintains a website at www.ochpp.weebly.com. The website features loads of information for Horse Project members.